If you want your WooCommerce store to succeed, it’s important to make the buying process as simple as possible. The easier it is for visitors to make a purchase, the quicker they’ll open their wallets. This means you need to find a way to streamline their experience. One of the best solutions is to add a quick WooCommerce quick order form. Instead of visiting individual product pages, customers will be able to select the products they want and add them to their cart from one convenient location. What’s more, you can even customize your order form to make it as user-friendly as possible. In this guide, we’ll explain why you might need a WooCommerce quick order form, and talk about choosing the right tool for the job. Then we’ll show you how to create a quick order form using the WooCommerce Product Table plugin. Let’s take a look! Demo: See a quick WooCommerce order form in action! What is a Quick Order Form (and might you need one)? Most WooCommerce stores provide dedicated lists or galleries where customers can see many items at once. They also display each product on its own page. This enables visitors to easily compare products, and find out more information about each one. In general, however, people are only able to purchase items one at a time. At most, they might be able to add products to the cart individually from the shop and category pages, but there’s no way to choose quantities or specific variations. Customers will be able to see lots of products at a glance. It becomes very easy for people to compare similar products. You’ll be using space more efficiently. As with any feature, certain types of sites will benefit from implementing a WooCommerce quick order form more than others. This includes stores with lots of similar products, as well as those selling ‘simple’ products that can be understood at a glance (such as clothing and decorative items). A WooCommerce quick order one page shop will be handy if your customer base browses your store from mobile devices. If you do decide to try out a quick order form on your WooCommerce site, you’ll find that the process is quite simple. All you need is the right plugin! Is customizable, so you can create a quick order form suited to your exact needs. 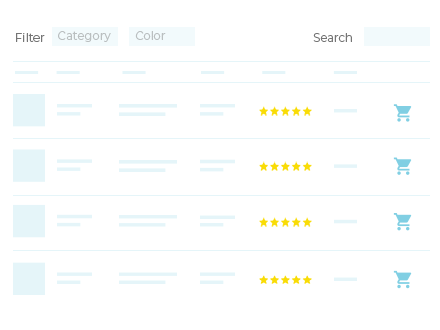 Offers filtering and sorting features, so customers can find what they want quickly. Includes support for custom fields and taxonomies, so you can organize products however you’d like. Lets customers select variations and quantities right from the order form, without needing to visit the actual product pages. Is fully responsive on mobile devices. This tool enables you to quickly build a product list or order form that is highly customizable. Plus, it’s designed to be used alongside WooCommerce, so customers will be able to order products right through the form. See a WooCommerce Product Table quick order form in action! 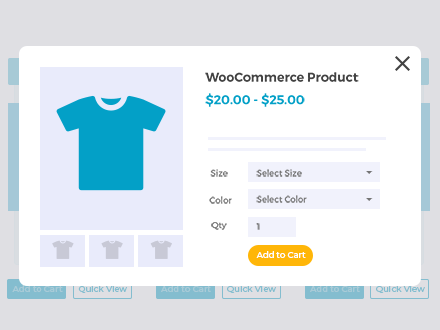 With WooCommerce Product Table, you can easily build a one-stop shop, or create a quick order form to be used alongside more traditional store pages. Let’s talk about how get started now. The first thing you’ll want to do is purchase and install the WooCommerce Product Table plugin. Don’t forget to activate your license key afterwards. Create a WooCommerce quick order form on your site today! If you haven’t already installed and activated WooCommerce, you’ll need to do that as well. You’ll also want to ensure that you’ve created all the products you want to include in your quick order form. Then, you’re ready to begin! To start building your quick order form, first create a new page and give it a name. You could stop here. However, chances are you’ll want to customize exactly what information is displayed and how. Simply list out all the columns you want to include, separating them with commas. You can take a look at the plugin’s documentation to see all the columns you can add and what names to use. Don’t forget to hit Save changes at the bottom of the page when you’re done. This is a great start. However, let’s talk about some ways you can customize your WooCommerce quick order form more fully. If you want your quick order form to be user-friendly, there are a few additional features to consider. First, you’ll want to enable customers to select product variations right from the order form. In other words, if you offer the same shirt in red, green, and yellow, you need to let people easily pick the version they want. You could also choose the Show as separate rows option instead. This will display each variation on its own row within the table. In this dropdown menu, select Button and checkbox. This will make a simple checkbox appear next to each Add to Cart button. Customers will now be able to select all the products they want, and add them to the cart simultaneously. I’d definitely recommend using add to cart check boxes in a WooCommerce quick order form, either with or without the individual add to cart buttons. If your table is displaying a lot of products, customers may experience slow loading times while waiting for everything to show up. Enabling this option can help avoid performance issues, although it does come with a few limitations worth reading up on. At this point, your WooCommerce quick order form is coming along nicely! You can continue to customize it to meet your exact needs, making whatever changes you’d like in the settings. If you want to show specific products in the order form instead of your whole catalog, then there are also shortcode options that let you display products based on category, tag, etc. Add these options directly to the [product_table] shortcode. You can read about them in the plugin knowledge base. By creating a quick WooCommerce order form with a product table layout, customers can quickly click multiple products and add them all to the cart at once. This is ideal for selling simple products, or products with a small number of variations. But what if you have a large number of variations per product? Obviously, you don’t want to send customers to a separate page to buy each product. That defeats the purpose of a quick order form! 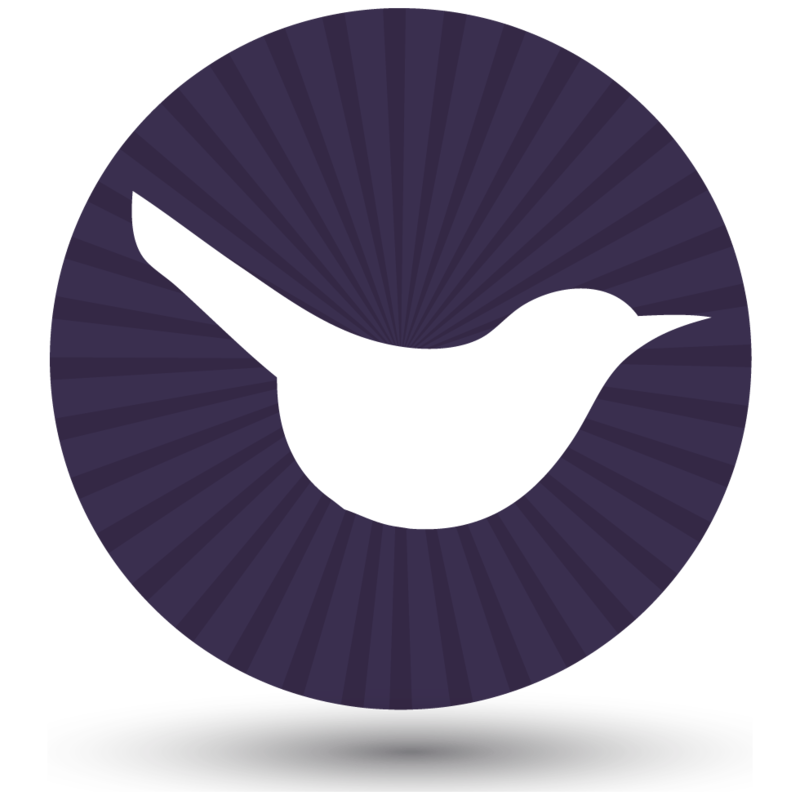 Add quick view buttons or links to your WooCommerce quick order form. The solution is to add quick view buttons to your WooCommerce order form. 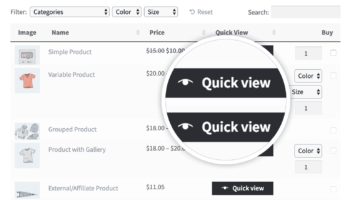 You can do this with the WooCommerce Quick View Pro plugin, which is designed to work with WooCommerce Product Table. Install the plugin and use the settings page to choose what information to display in the quick view lightbox. Next, add a quick-view column to your list of product table columns. This will add quick view buttons to the table (which you can rename to anything you like on the Quick View plugin settings page). Customers can click these buttons to view extra product information, image gallery and/or purchase options in a lightbox popup. After adding the product to the cart, the lightbox closes and the customer remains at the same point on the quick order form, where they can continue adding more and more products to their cart. The easy way to add quick view to your fast WooCommerce order form. Before we wrap up, there’s one more element to consider. Along with optimizing your quick order form so that it’s user-friendly, you’ll want to do everything you can to speed up the ordering process. The more convenient it is to buy products, after all, the more likely customers will be to complete their purchases. Redirect users to the cart page after selecting one or more products. This encourages customers to buy right away, and can be done easily using a WooCommerce setting and the free Redirection plugin. Add more payment gateways to your store. The more payment options you provide, the larger your potential customer base will be. WooCommerce itself offers a variety of ways to add new payment gateways. At this point, take a moment to sit back and admire your handiwork. You have a fully-functioning quick order form that’s informative and easy to use – and the process of purchasing products through it couldn’t be simpler! It’s important to design your WooCommerce store to provide the best user experience possible for your customers. This means making it simple for them to see what products you offer, select the ones they want, and get right to the checkout screen. To do this, you can create a WooCommerce quick order form – either as a one-stop shop, or to supplement your existing product pages. By using the Woo quick order table view, your customers will be able to select and buy the items they are after fast and without fuss. Create an order form page. Do you have any questions about how to set up your quick order form? Ask us anything in the comments section below!